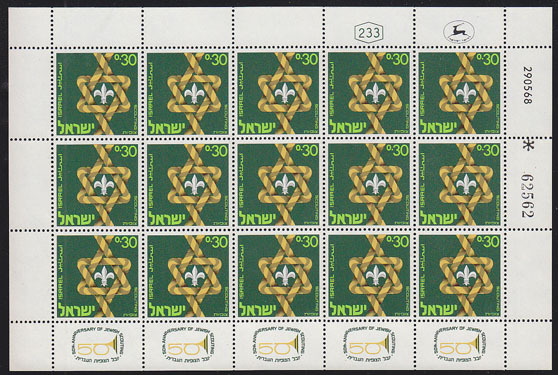 17079 ** ISRAEL (1968) Knot forming star of David*. Full sheet of 15 commemorating 50 years of Israeli scouting. Scott No 369.